I'm happy to be back painting again working the rust out. This one's going to be in my Ottawa show in June, which will be at Wall Space Gallery. 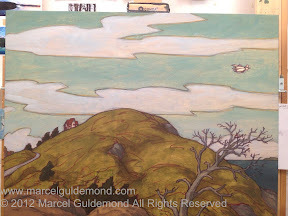 This is the underpainting stage.